There are several artists by this name: 1. A rock n' roll band from Los Angeles, California. The group consists of: - Aaron North (vocals, guitar) - Tony Bevilacqua (guitar, vocals) - Jenni Tarma (bass, vocals) - Troy Petrey (drums) Their recent album will feature guest appearances from Carla Azar (Autolux), Josh Freese (Devo, A Perfect Circle, Nine Inch Nails, eh...everybody), Kevin Haskins (Bauhaus, Love & Rockets, Tones On Tail), Josh Homme (Queens of the Stone Age, Eagles of Death Metal) The band recently Had Dave Grohl (Nirvana, Foo Fighters) in the studio as well. Their recent album will feature guest appearances from Carla Azar (Autolux), Josh Freese (Devo, A Perfect Circle, Nine Inch Nails, eh...everybody), Kevin Haskins (Bauhaus, Love & Rockets, Tones On Tail), Josh Homme (Queens of the Stone Age, Eagles of Death Metal) The band recently Had Dave Grohl (Nirvana, Foo Fighters) in the studio as well. Formed in 2004, the band is a registered 501(c)3 nonprofit organization. Half of every album they've sold has been donated to groups working on the front lines of the anti-human trafficking movement. They spread awareness and encourage activism by "doing what they love to undo what they hate." "To See You Well" (1/31/2011): The music and artwork pay tribute to the land, people, and cultures of Hawaii and the Pacific Northwest, the band members' milieu. Produced by Jonas G. at Mezzanine Floor Studios & the Fremont Abbey Arts Center in Seattle, WA. Mastered at RFI by Ed Brooks (Fleet Foxes, Death Cab for Cutie). 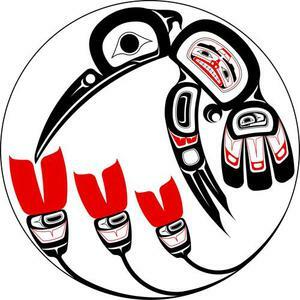 CD cover art by Nathaniel P. Wilkerson of the Gitxsan tribe B.C., Canada. 4. A Manchester band from 1994-1997 led by Lee Severin. Britpop with a 60's psych bend, they released 2 singles before record company woes forced them to disband. 5. A South African wonder boy from Stellenbosch, Duard Steenkamp. 6. A Washington, DC-based two-and-sometimes-three piece cacophony of queer thrills and percussive kitchen implements. 7. a screamo band from dallas, texas who play hearfelt songs.